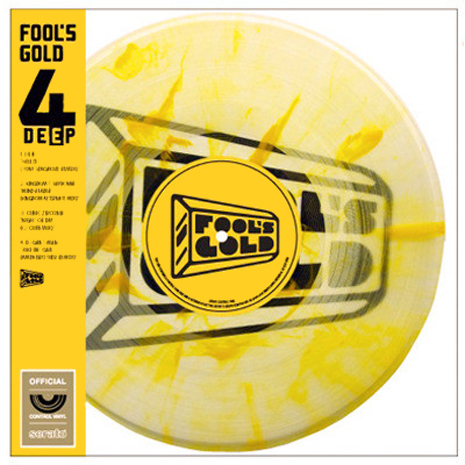 We celebrated four years of Fool’s Gold with the 4 Deep Serato pressing, a limited-edition (only 2,000 pieces worldwide) 2×12″ transparent splatter vinyl featuring Serato DJ control tones on one side and four previously unavailable tunes from the FG catalog on the other. 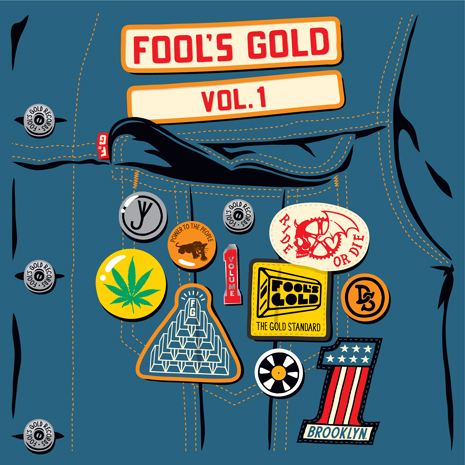 The compilation includes Tony Senghore’s insane take on rap eccentric Lil B’s “Freeze” (from Fool’s Gold Vol. 1), an alternate half-time mix of Kingdom’s “Mind Reader” featuring Shyvonne, a club mix of Cubic Zirconia’s afterhours jam “Night Or Day” featuring Bilal, and an 808s-n-breaks take on DJ Gant-Man’s “Juke Dat Girl” from Amen Brother (aka Vin Sol and Matrixxman). Each package comes with white FG logo slipmats.